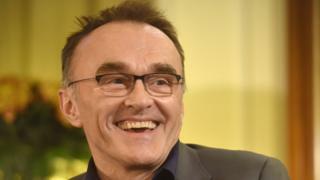 Oscar-winning director Danny Boyle is among the latest big names confirmed for a free festival aimed at reinvigorating a seaside town. The First Light Festival will take place over 24 hours on the summer solstice weekend in Lowestoft - Britain's easternmost point. Boyle will present a screening of his film Sunrise at the event, organised by designer Wayne Hemingway. Mr Hemingway said it was a "mouth-watering and evocative proposition". Mercury Prize-winning musician Talvin Singh has already been confirmed to open the festival at noon on 22 June and perform his work, Light, at sunrise the following day. DJ Gilles Peterson will deliver the sundown set on Lowestoft's South Beach. The full programme includes music, dance, film, art, science, talks, walks, sports and workshops, as well as regional food and drink. Mr Hemingway said the festival would deliver a "positive economic and social impact". "Ultimately this is about creating an annual event that defines the essence of a place, engenders pride in the community that lives and works there and attracts positive attention, visitors and ultimately inward investment into Lowestoft," he said. "First Light is a mouth-watering and evocative proposition and that is why so many world-renowned and influential people from Britain's creative and cultural community are as excited as us to be part of this inaugural event." The First Light Festival will begin on Suffolk Day, the annual celebration of the county.